The Husband and I snuck off and went diving yesterday, so today we were pretty much chained to our desks to make up for it. But there was, of course, time for a couple of walks with Isla (she wouldn’t let me get away without those!) and this cellphone snapshot of one of the many guests in the ivy. 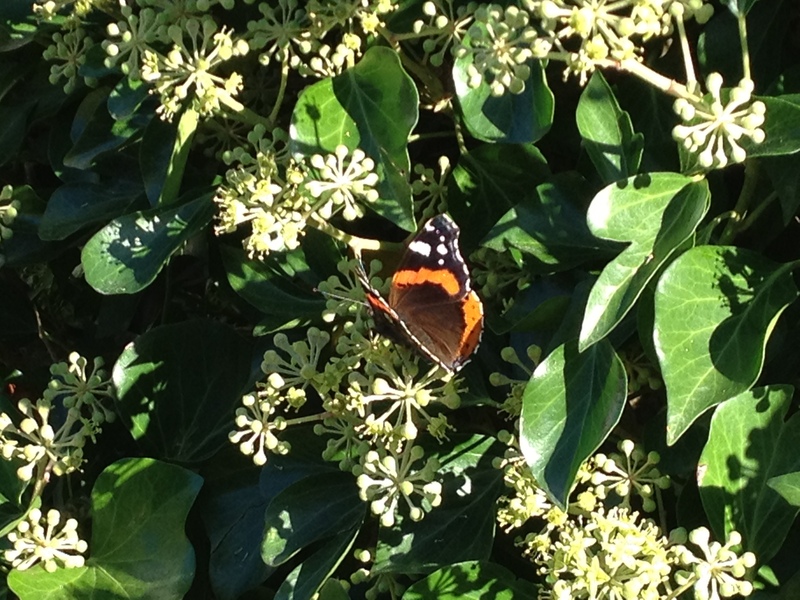 I love the heavy honey-smell of ivy blossoms and the bees and butterflies clearly agree. This entry was posted in Butterflies, Critters, Insects, Secret garden, Summer in the city and tagged butterflies, ivy, Red Admirals. Bookmark the permalink.